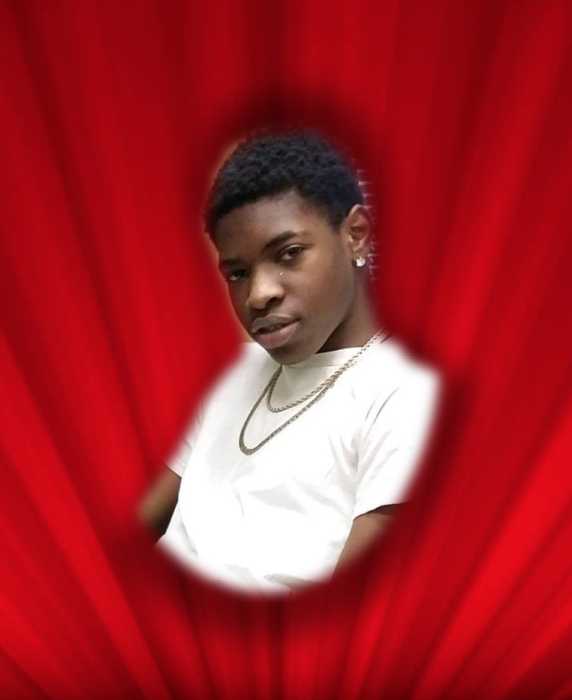 Obituary for Mr. Morio Jermaine Morris | Mack Eppinger & Sons Funeral Service, Inc.
Mr. Morio Jermaine Morris, 16, of Cartersville, Georgia passed on Wednesday, January 16, 2019. Service for Mr. Morris will be Tuesday, January 22, 2019, 2:00 P.M. at Mack Eppinger & Sons Chapel, 210 N. Bartow Street, Cartersville, Georgia 30120. He will lie in-state from 1:00 P.M. until the hour of service. Immediately following the service, the family will have repast at Mt. Zion Missionary Baptist Church, 147 Jones Street, Cartersville, Georgia 30120. God has a reason for allowing things to happen. We may never understand his wisdom but we simply have to trust his will. On Tuesday, January 16, 2019 Morio Jermaine Morris entered into rest. Morio Jermaine Morris was born in Cartersville, Georgia to Morio Hartnest & Ashley Morris on January 7, 2003. He attended Cartersville Middle School, where he was well known and loved by many. Morio was the center of the room & would always make you laugh. He would attended Back to the Bible Church in Buford, Georgia with his grandmother Deloris Hartnest and under the leadership of Pastor Bobby Wright. Morio was preceded in death his grandmother Jacquelyn Nesbitt and his baby sister Azaria Morris. He leaves to cherish his memory his mother, Ashley Morris; father, Morio (Nadria) Hartnest; sisters, Amarie Hartnest & Amya Morris; brothers, Kamorion Hartnest & Ari Hartnest; grandparents, Myles (Sylvia) Morris, Bobby Stewart, & Deloris Hartnest; great-grandmother, Julia Nesbitt; aunts, kisha (Troy) Harris, Natasha Morris, Lynn Florence, Katrina Hartnest, & Lakrisha Stewart; great aunts, April Nesbitt & Sonja Nesbitt; uncles, Shannon Bryant, Maurice Hartnest, & Bobby Stewart, Jr. & a host of cousins, family, and friends. Mack Eppinger & Sons Funeral Service, Inc. has full charge of arrangements.